"Koder for iPad: Nerds Rejoice! You Can Code on Your iPad"
"Koder’s simple yet efficient interface is designed for touch editing. At just $5.99, you get an editor with a well-designed interface at a great price. 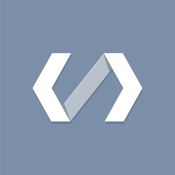 If you want to code with your trusty iPad, then Koder is for you." 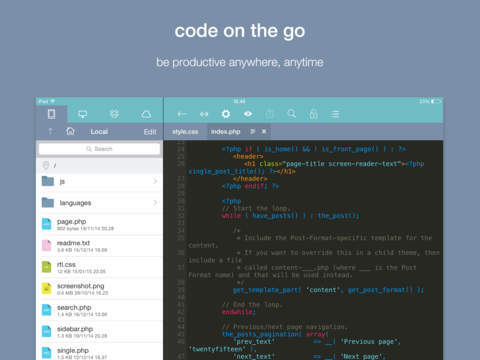 "The app for instant project creation and code editing, perfect for developers and programmers on the go." 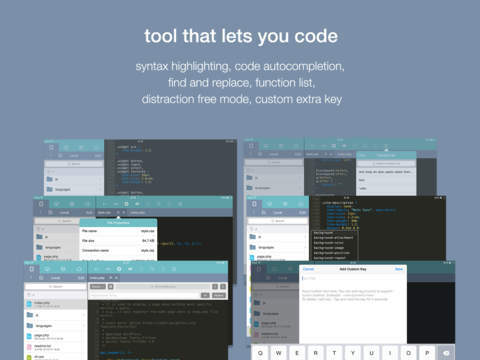 Koder is a code editor for iPad and iPhone. It does have many features including syntax highlighting, snippet manager, tabbed editing, find and replace code, editor theme, remote and local files connections, and many more.